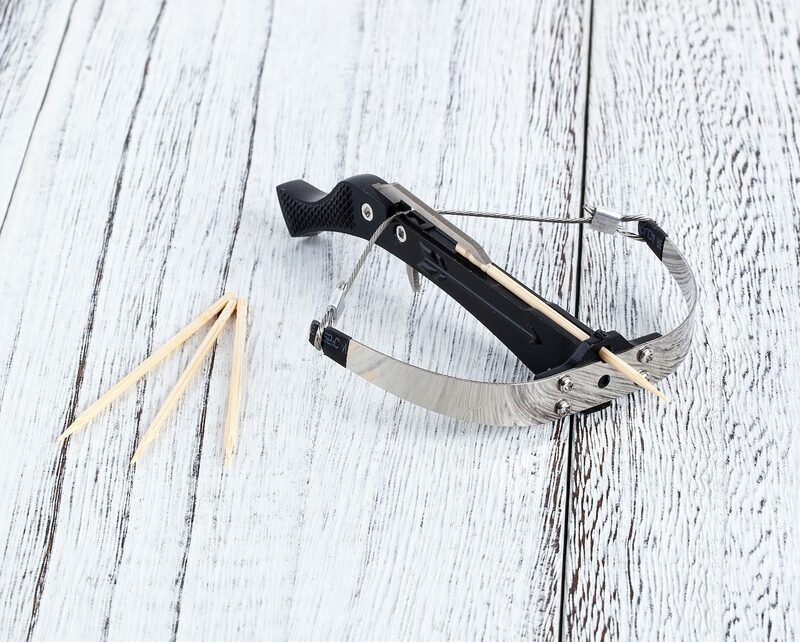 Easily refine your archery skills with the UncommonCarry Bowman Mini Crossbow, offering a range of 10 to 15 meters. 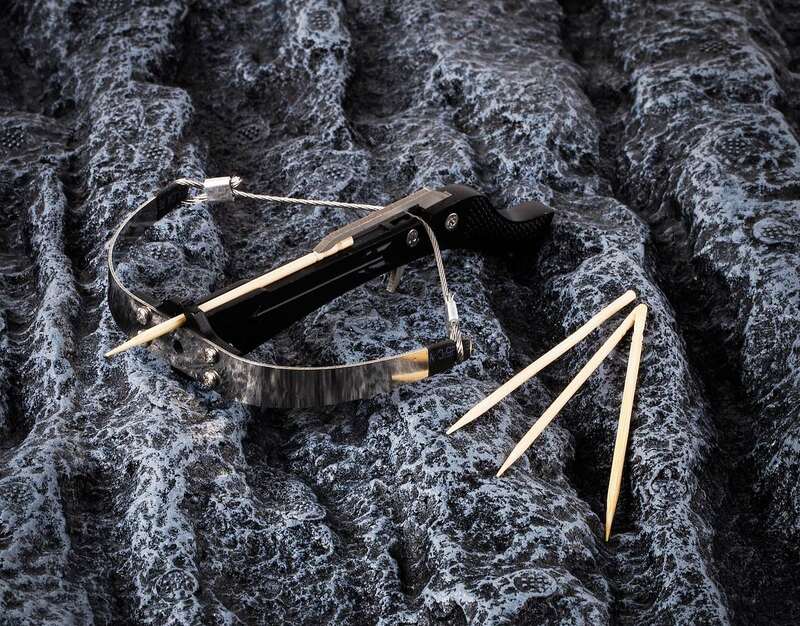 Easily refine your archery skills with the UncommonCarry Bowman Mini Crossbow. 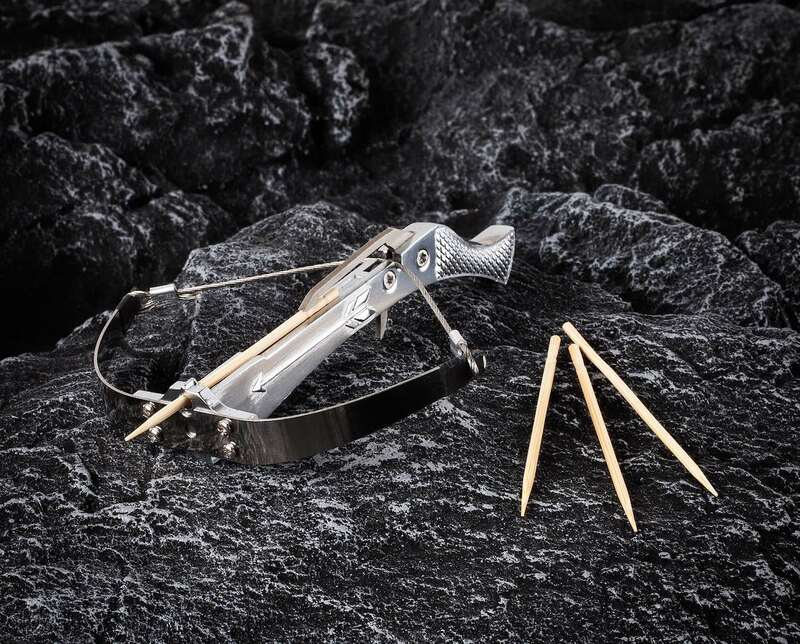 Offering a range of 10 to 15 meters, practicing archery with the Bowman can become quite addictive. 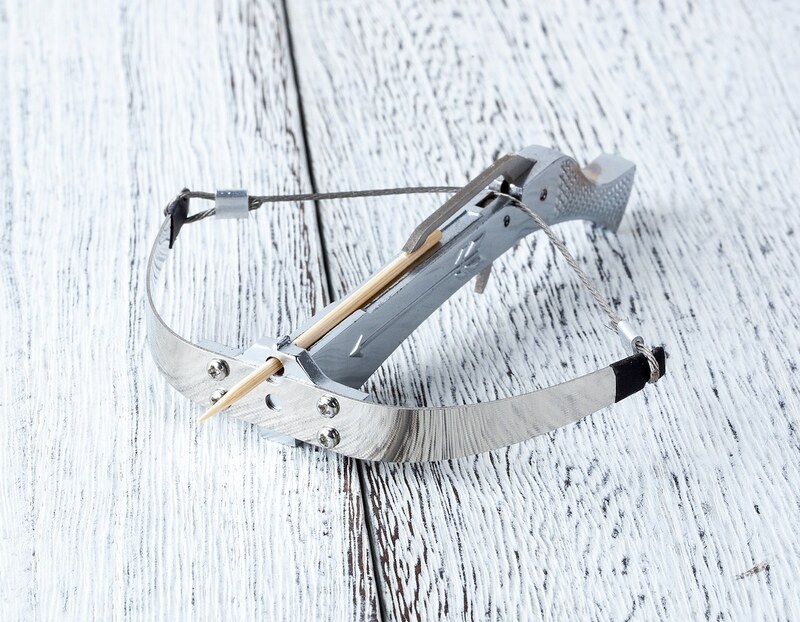 Just use the Bowman to practice shooting small projectiles, such as matches, toothpicks, and Q-tips. 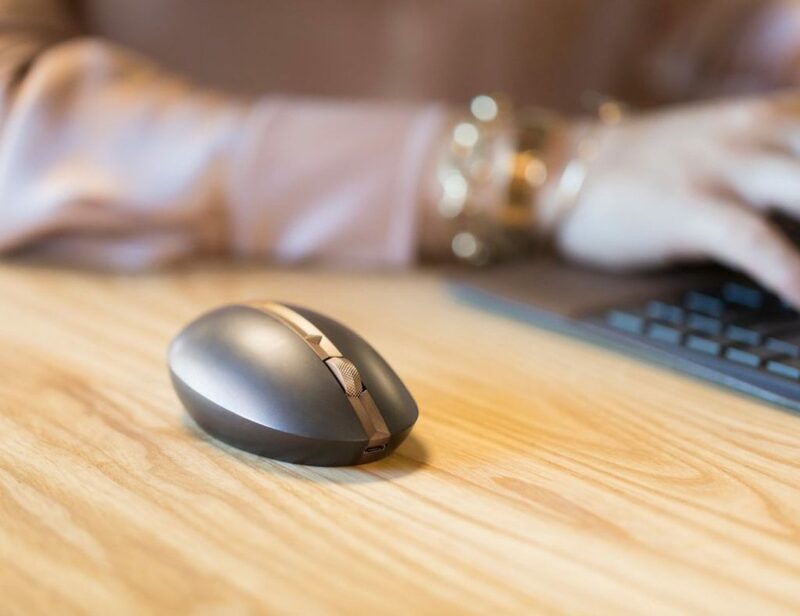 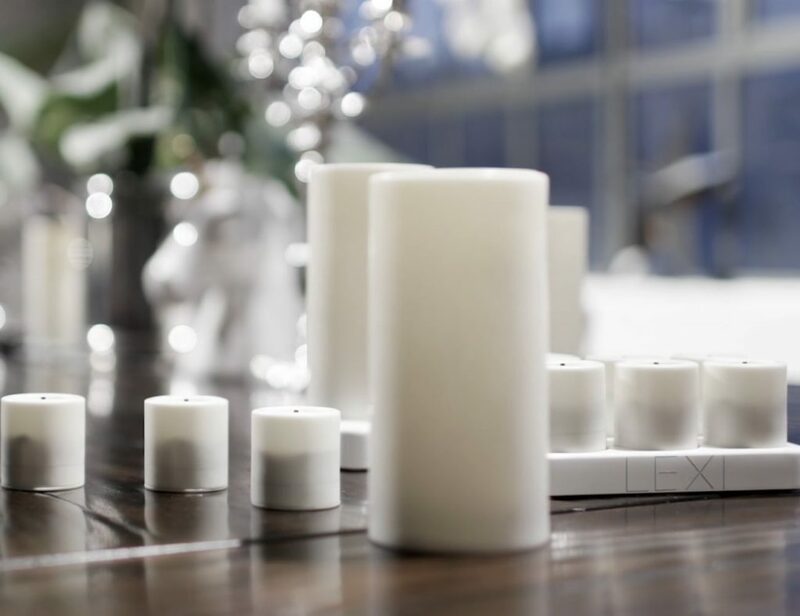 Similarly, you can use it any setting like your office, the library or even at school. 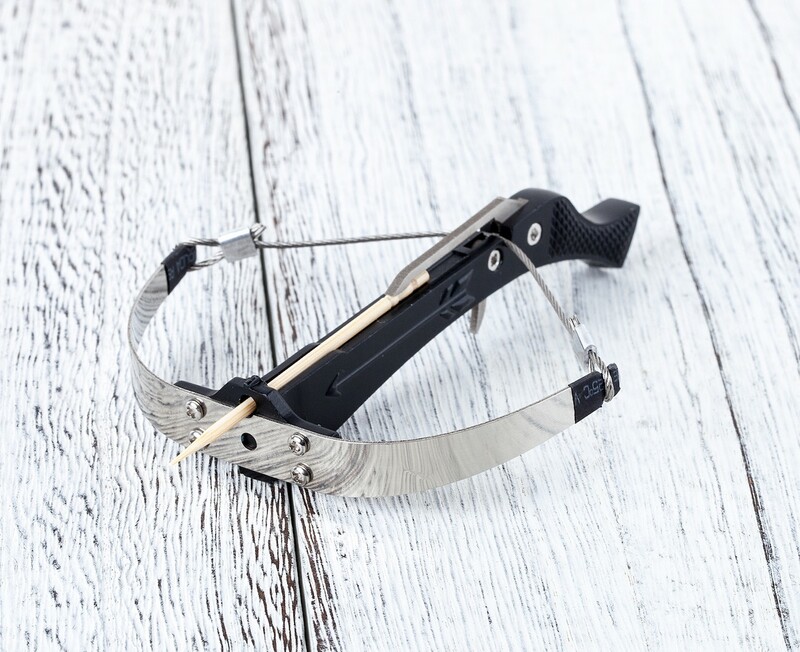 The Bowman Mini Crossbow set includes a handmade stainless steel mini crossbow, two metal strings, 2-millimeter balls and a stand. 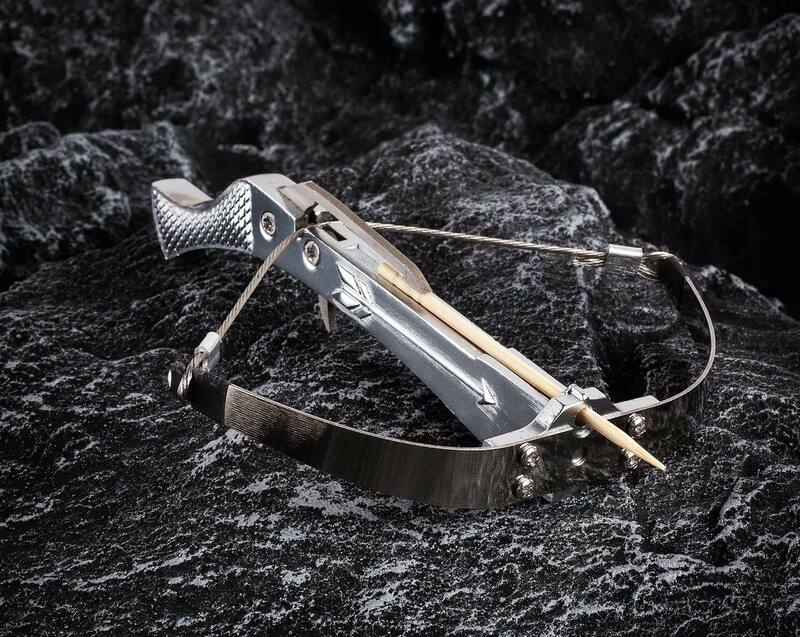 To use the Bowman, just grab the crossbow and pull the metal string to fully wind back the bow. 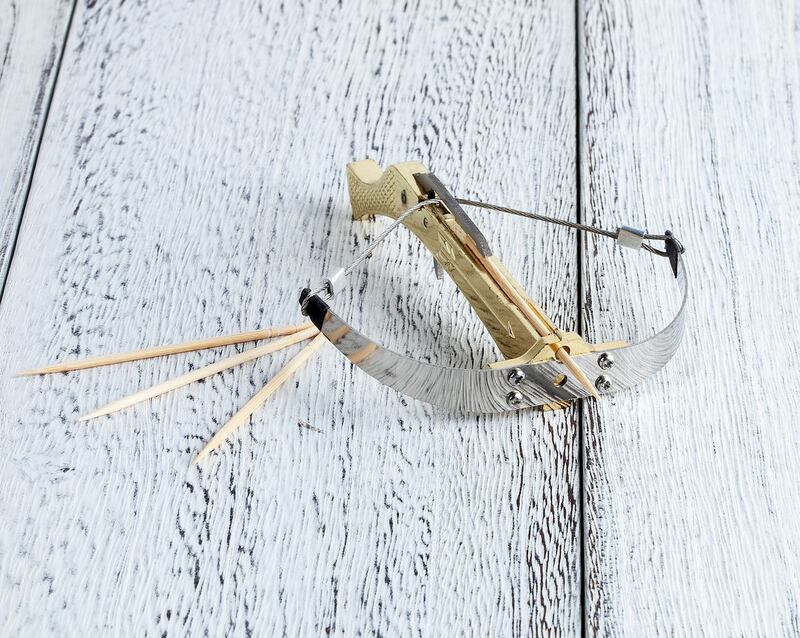 Then insert your projectile of choice into the barrel of the bow, point it at the target and pull the trigger to shoot. 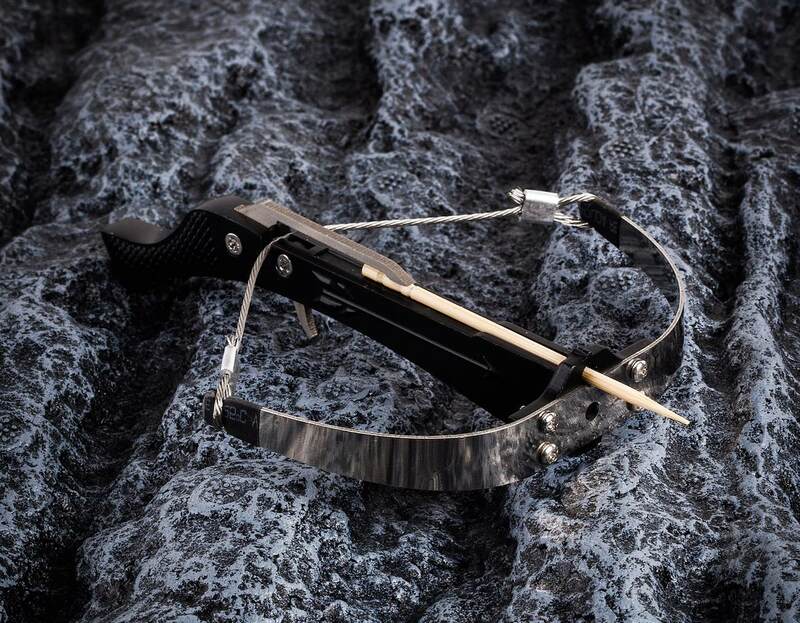 Afterwards, place the Bowman on the included stand. 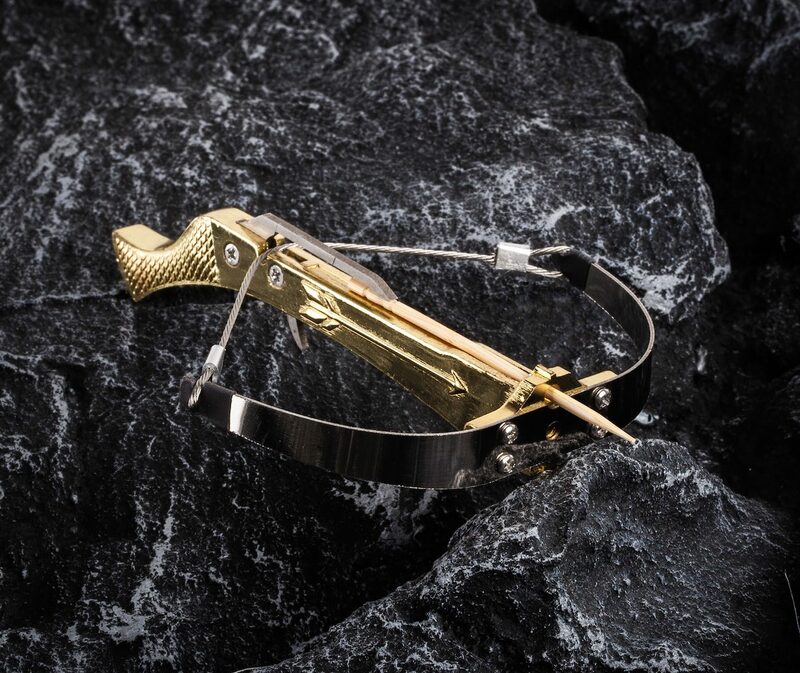 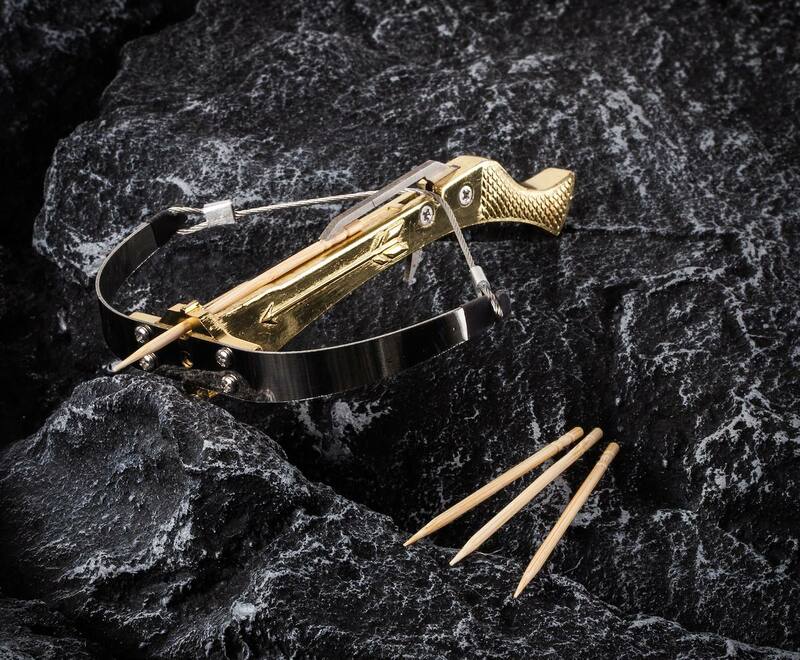 Finally, the Bowman Mini Crossbow comes in three colors: black, silver and gold.